– 70% do not have someone they consider a close friend. I started this series because I believe most congregations have no idea just what a strain the pastoral ministry places on the pastors and their families. So, in this post, I want to share with you three things you can do to provide support for the one called by God to care for the sheep under his care. Offer sincere and constructive feedback on the sermon. “Pastor, that was incredible…” while I love to hear that, it did not help me to hone my craft. I told my wife early on that “…since you are the only one who will have the courage, to be honest with me, please tell me the truth about my preaching.” Early on some of those conversations were brutal, but then again so was my preaching. It reminds me of what one parishioners said, some pastors preach “longhorn sermons,” a point here, a point there, and a lot of bull in between. As I travel around and visit congregations, I hear this story far too often. “Our pastor preaches sermons that no one wants to hear. They just don’t connect with us. They do not spiritually feed the people.” So I ask them, did you talk to your pastor about that? And the answer is a resounding, NO! Give him encouragement after the mediocre sermons. I had a member who would come up to me after one of those and say, “Pastor that was a warm sermon.” I asked him after hearing that a few times what he meant, and he responded, “Not so hot.” He wanted to remind me that I needed more work on delivery or preparation. Encouraging your pastor in his preaching is important. It will not only help him, but it will benefit the entire flock. If the pastor has a teachable spirit, he will grow in his proclamation of the gospel, and you will find yourself getting more out of the sermons. Encourage him in caring for and leading his family. Since many pastors are also husbands and fathers, they have an added responsibility. And the role of husband and father comes before that of a shepherd. In writing to the young pastor Timothy, the apostle Paul had this wise advice to for him. As you can see from God’s word those roles should be more important in their life than their capacity as a pastor. So, if you want to have a happy and healthy pastor insist that the man called to serve not neglect his home life, encourage him in leading his family, and care for them as you care him. Give your pastor permission and encourage and support him in personal development. In the first post in this series, I talked about the importance of taking a day of rest. Now I want to encourage you to support your pastor’s professional development. You want your pastor to attend conferences where he will continue to develop as a shepherd and leader. There is something healthy about getting out and seeing other ways of doing ministry. Unfortunately, many pastors feel guilty about asking for this opportunity to grow, so they don’t. But members expect them to know the latest ministry approaches and trends, and some members feel they are being cheated if their pastor is not there every Sunday. If you want to burn a preacher out and start a call process every three years, operate your ministry with that failed approach. From some 8,000 laymen and ministers with whom we have conferred, five principal pastoral problems emerge a loss of nerve, a loss of direction, erosion from culture, confusion of thought and exhaustion. They have become shaken reeds, smoking lamps, earthen vessels…spent arrows. They have lost heart. But they can be revived! Many have asked me about Sabbaticals. Here is a link to excellent resources. This focuses on the impact the ministry has on children. These two on the pastor’s spouse. You have laid this out very well! Pastors need all the encouragement they can get. Thank you Dwight. I always appreciate your daily encouragement. Blessings Brother. If you are a church member, and have a pastor you care about, these great thoughts by Keith Haney are great. We all ought to think about that these men who are called to preach God’s Word do and support them. Blessings and enjoy! Powerful insights here!! Facebook’d and retweeted! I am sure the stress of hearing confessions and sins daily is great! My father probably knows that weight as a priest himself. Great post! Keith, you have delivered a “hot blog.” I couldn’t agree with you more. Thank you Donald. Have a blessed day. Thank you for an excellent article. As the wife of a retired pastor, I appreciate your comments. I am going to share this on my FB page in hopes that others will read and take note to hold up their pastor’s hands. God bless you! Thank you Barbara. God bless and thank you for your service to God’s people and His called shepherd. Thank you also Keith for encouraging me by your kind comment. I have been away from blogging for awhile but really feel God calling me to start up again and be more faithful in posting each week. Your response is a blessing to me. Please do. We need the experience and the wisdom that you bring. God bless. I know this is focused on pastors but really, any church worker experiences the stress and hours. I think we need to be mindful of the sacrifices all of our professional church workers provide to the flocks they serve. I so agree with that point Sue. I pray people see that need to care for all their servants and their families. This was very very very good. Jaclyn that was my hope in writing this. To raise awareness of the support and prayers pastor’s and their families need. I am sure when you are back you will be a blessing to your pastor. I’ve been guilty of not giving feedback when it was needed. This is encouragement to stick with a church, which is my desire, to develop a relationship with a Pastor, so feedback will be taken as constructive and sincere, instead of possibly just whining. As you mention, along with the feedback, they need specific encouragement too. We have a responsibility to our Pastors, and not just the other way around. Thanks so much for your wise and substantive post – as a pastor who’s served for several years I really appreciate honest interaction – beyond the customary ‘great job today’ or those who pass a brief word that seems critical – thanks for your encouragement to the church family – I started a blog recently to also encourage Christians – http://www.helpfulpastor.com – hope that it helps believers as your blog has ! Thank you. 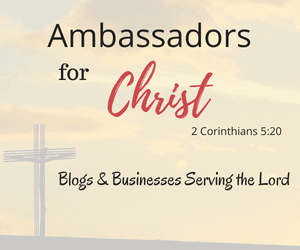 May God bless your ministry and your blogging. I have a good friend who is a pastor. I can always tell if the church he is in is caring for him and his family or tearing him down and apart. Thanks for doing what you do. I know it’s a hard job, but it’s also one of the most important ones. Thank you Joanna. It is often a labor of love, but Satan is also very busy. Great advice. I will start encouraging mine more. I am sure that will be a blessing to him. This is excellent! Many do not realize the needs of a pastor. It is not that we selfishly want these things but that we pour out so much of ourselves that the well often runs dry. This is hard to talk about yourself to your congregation as well. Pastor, I just cannot wait to read more and digest what you’ve expressed. It crushes me to think what we’ve done and not done to support and encourage. I will be thinking and acting on this for a long time to come. Bless you and yours! Thank Linda for reading. I am hoping through this pastor and people are blessed by God’s Word and can apply it to ministry. Have an awesome day in the Lord!